Bourbon biscuit covered with chunky milk chocolate (55%). 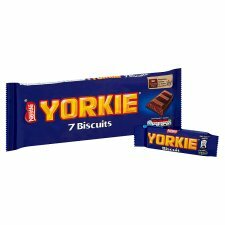 YORKIE Biscuit, smooth milk chocolate bar with crunchy biscuit pieces for an extra crunch! 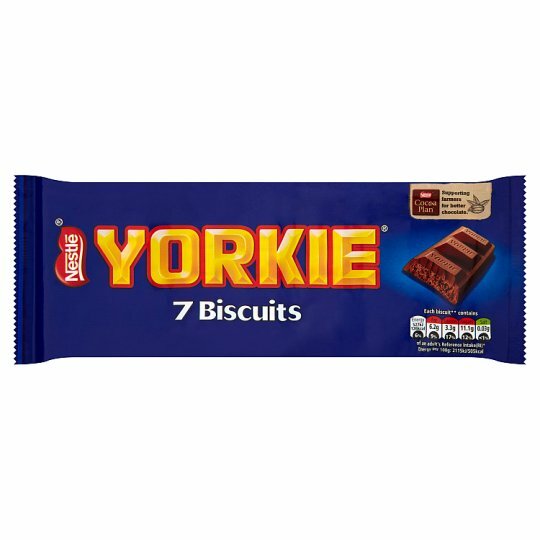 YORKIE chocolate evolved from a bar that was originally launched in 1924 under the name 'York Chocolate' as a single milk chocolate bar produced in York. 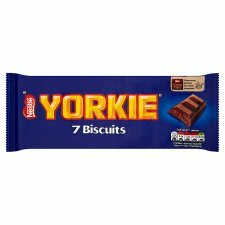 Have you tried our Yorkie Raisin & Biscuits bars? The same delicious chunky milk chocolate, with an extra crunch!